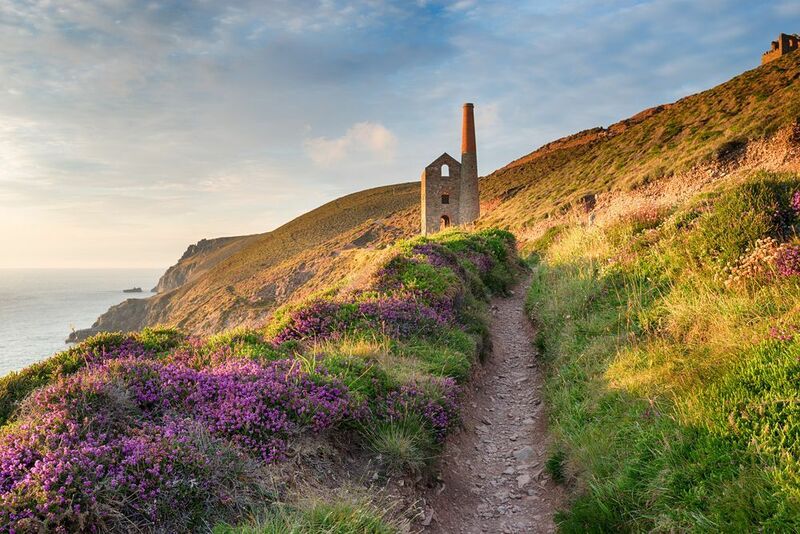 As Poldark returns to our screens on 4th September, the beauty of the Cornwall and its exquisite coastline is once again in the spotlight. There are plenty of remarkable homes hidden in the Cornish hills, here are ten of our favourites. You can explore Poldark country until your heart is content in Blisland. 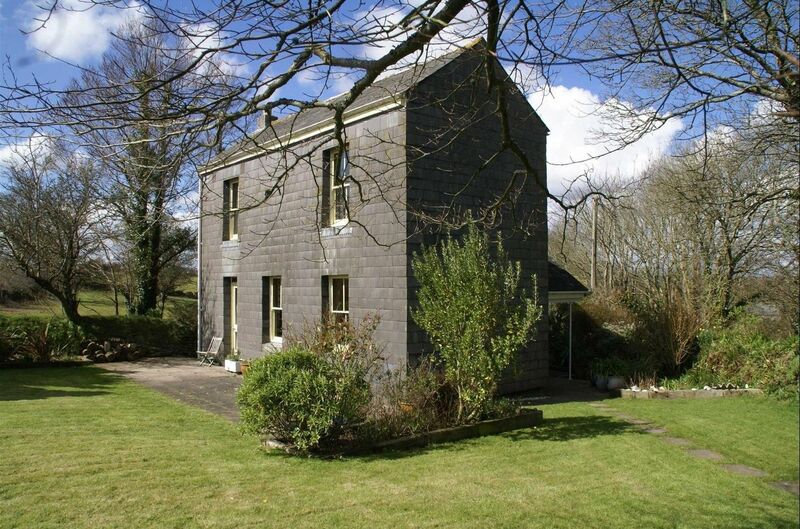 Just a few miles from St Breward, the filming location for Poldark’s home, is this six-bedroom country farmhouse. Positioned in 3.2 acres of land, this property is currently used as a guest house with fantastic ratings. 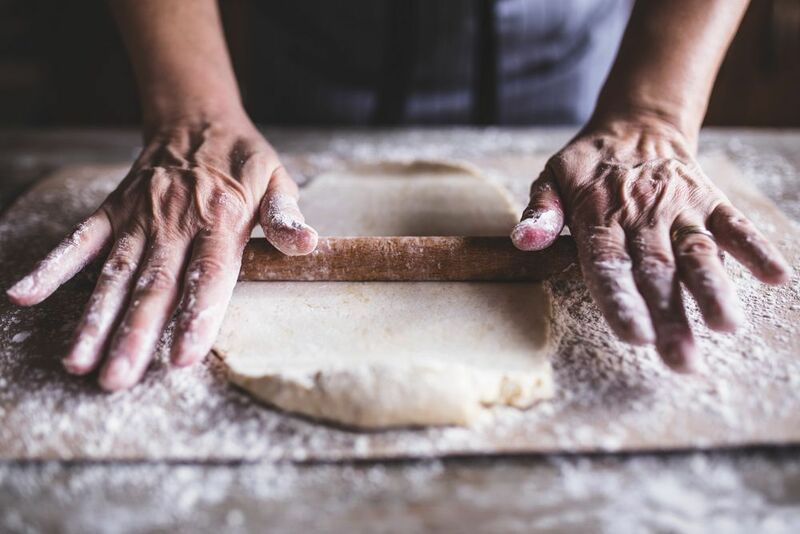 There is also a fine range of stables and workshops with the property – there is so much opportunity with this Victorian house dating back to 1890. The property has been aptly named Sunrising as its coastal setting on Restronguet Weir is picture-perfect. 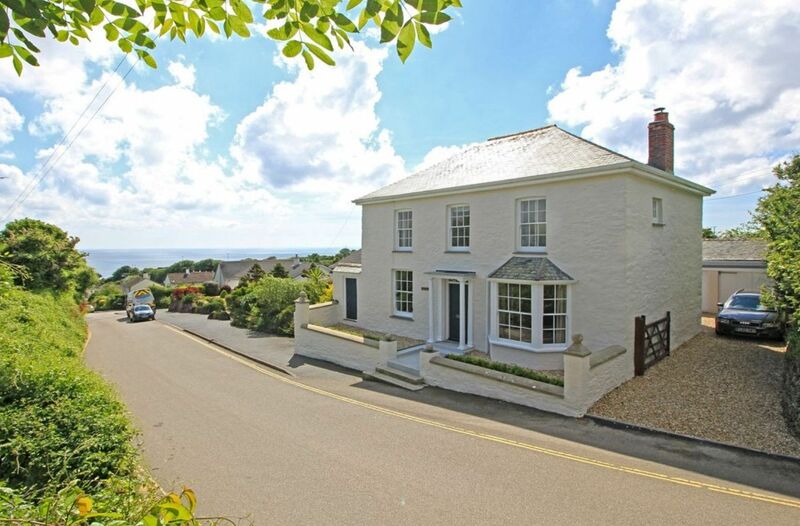 After ambling down a quiet country lane surrounded by fields, this four-bedroom family home can be found perched right by the sea. The property makes the absolute most of its spectacular view of the Fal estuary, especially in the main, open-plan living space which is characterised by the atmospheric blue view. The low maintenance patio area is idyllic for indulging in the panoramic view. If you want to get a little closer to the water, the boathouse, slipway and quay make a voyage as easy as possible with all the private facilities literally on your doorstep. This former Church Hall is packed with character. The property has an open plan lounge/kitchen/dining area which makes the most of its high vaulted ceilings. The kitchen has a contemporary, industrial feel thanks to the pan rack suspended in this light airy space. The wood burning stove is perfect for weathering stormy nights, while the low maintenance, enclosed garden is ideal for a dining alfresco in the warm Cornish summer months. From here, a 15-minute drive will take you to Gunwalloe Church Cove where the Poldark shipwreck scenes were filmed. It is next to the Dollar Cove, named after local tales of a Portuguese treasure ship sinking offshore in 1526, and in 1783 a ship carrying silver dollars was also wrecked nearby. 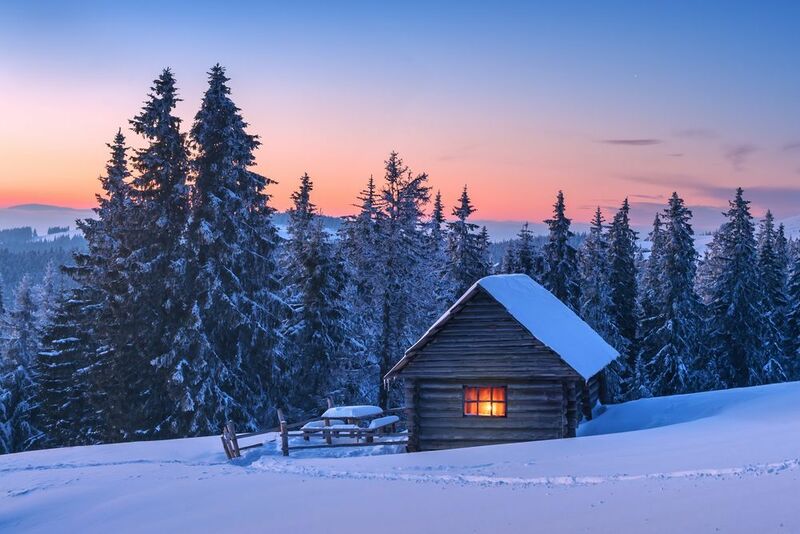 A fantastic story and the perfect reason to go exploring. 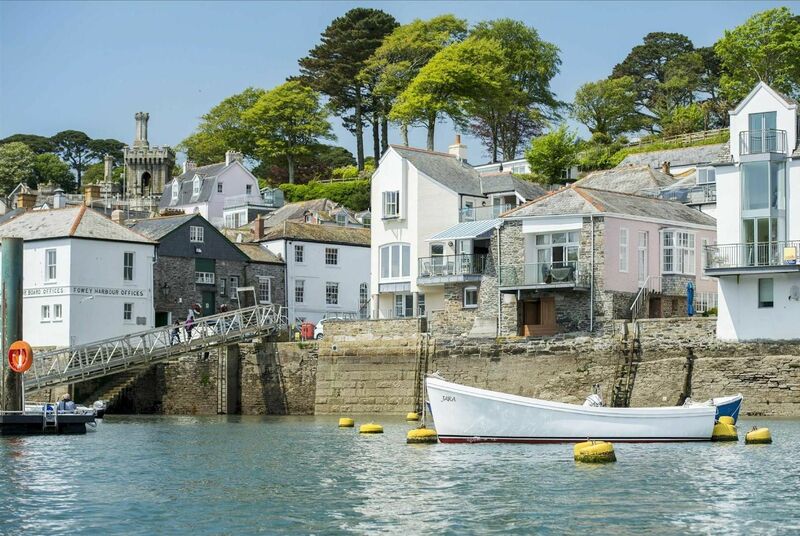 Fowey, a charming seaside town in south Cornwall, is surrounded by miles of coast and countryside, much of which is in the ownership of the National Trust. 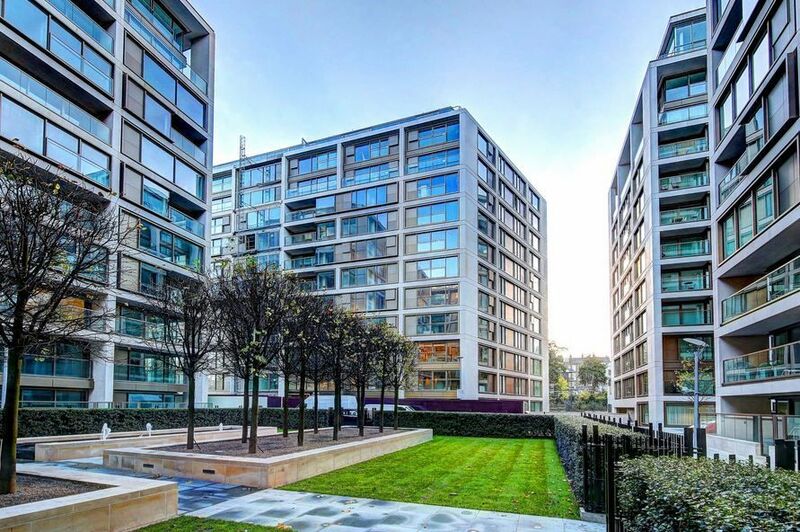 This impressive four-bedroom home is spread over three floors showcasing its location – the living space is particularly special as it frames the view. The private balconies are perfect for enjoying a glass of wine (after watching Poldark, of course). 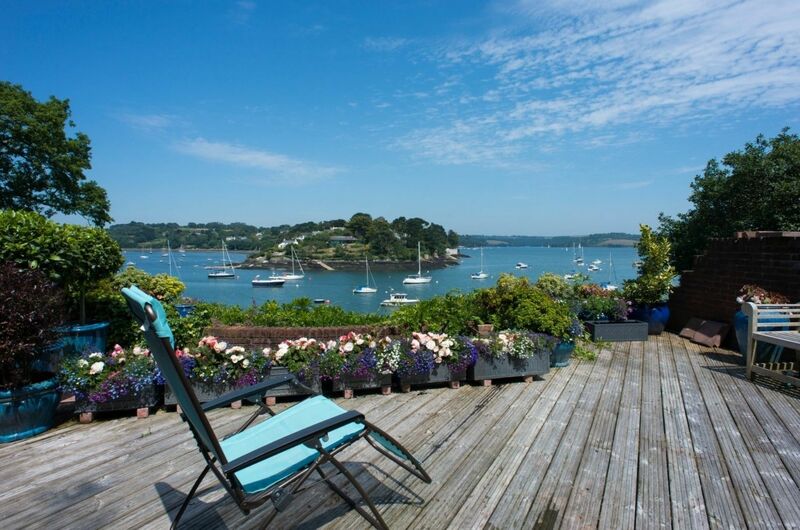 This property boasts direct access to the water via galvanised steps and a running mooring under licence, which is ideal in this natural harbour that provides some of the best sailing waters in the country. Tropical Cornwall is on show in this private beachside residence. 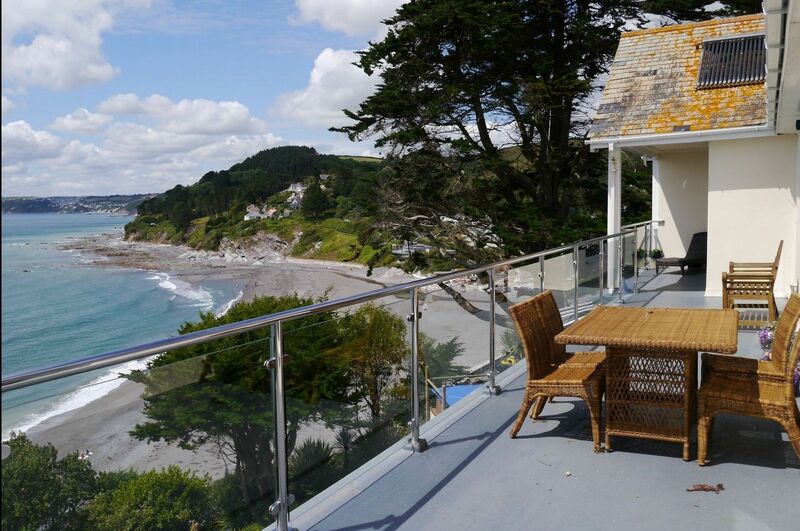 Set within 2 acres of sub-tropical gardens with a panorama over the coastline of Whitsand & Looe Bay, this property has a very special location. Rame Head, the Eddystone Lighthouse are on the horizon and Looe Island is in the west. The balcony and extensive level terraces adjacent to the property provide ample space for entertaining and alfresco dining. Between the seaside villages of Downderry and Seaton, this property sits atop the hillside, just a short walk from the long sandy beaches it gazes over. The mix of rock pools and sand make this beach a fantastic place for children to explore. The Rectory is a beautiful Grade II listed property believed to have been built in the late 19th century. 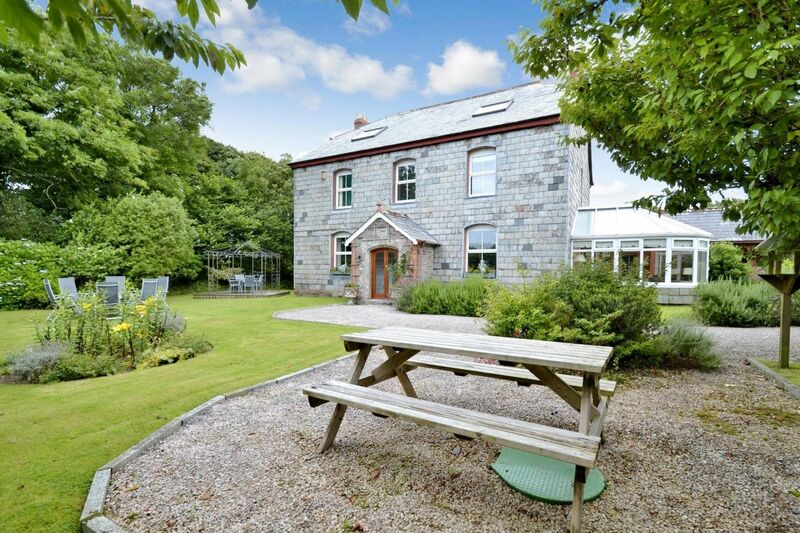 This four-bedroom home in has views across Gerrans Bay to Gull Rock, Nare Head and beyond. Sold by the Diocese of Truro in 2013, in a state of complete disrepair, the property has since been lovingly renovated from the ground up. The kitchen is a lovely space with limestone floors and LED down-lighters that really help to showcase the light from the large south-facing bay, wooden, sash windows. But if you want to indulge in the coast, the Portscatho beach is isn’t far. Liked this post? Discover more properties here. 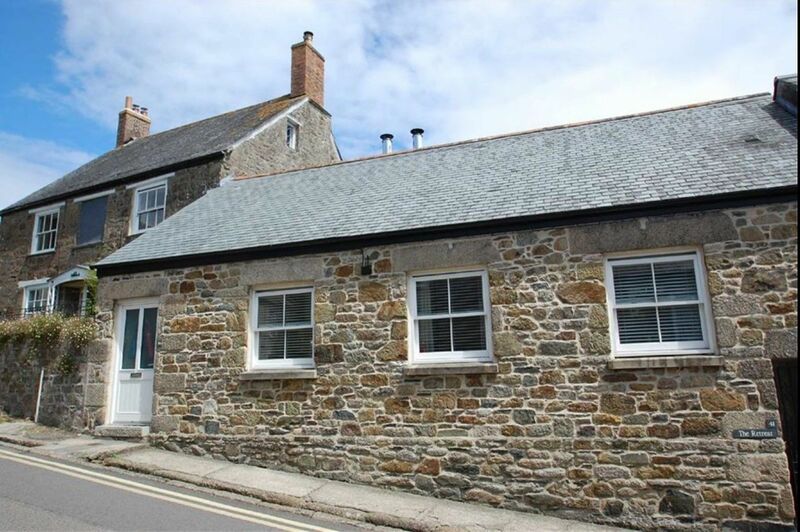 The Burgeys is a semi-detached period cottage built of traditional Cornish stone with a natural slate roof, sitting in gardens of approximately one quarter of an acre. The stone fireplace is a beautiful feature. This property has been successfully holiday let providing a substantial income for a number of years and is ideally located. Engollan is a picturesque rural hamlet about 2 miles of Porthcothan Bay – the filming location for Poldark’s Napara Cove. The historic harbour town of Padstow is within roughly 6 miles. The historic port of Charlestown is a berth for tall ships in Poldark. It has also been featured in many other films including the Three Musketeers and The Eagle Has Landed. 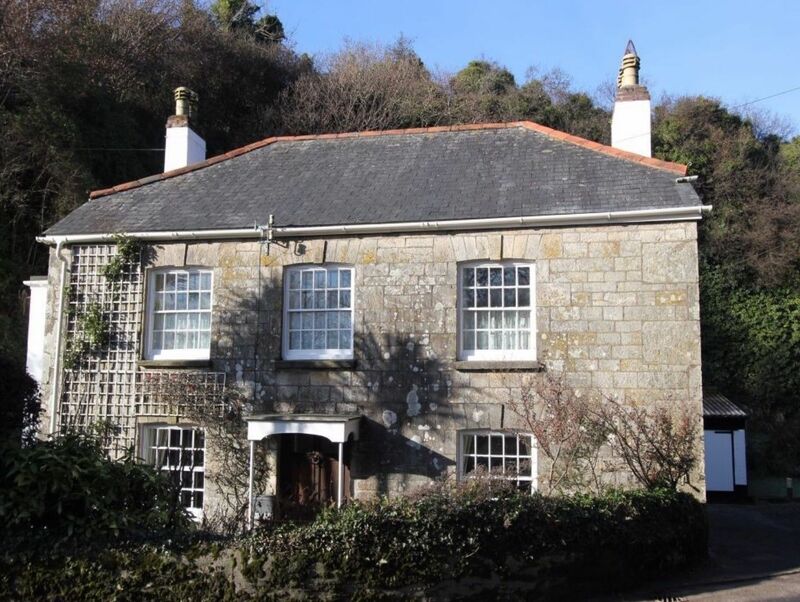 This unique detached home is just up the road from Charlestown in Fowey. Built circa 1900, this home is set in countryside with fabulous rural views and a mere 2 miles to the centre of the town. The kitchen has wide windows which make the most of the wonderful view. A little sprucing up and this could be the perfect country retreat. Still within 5 miles of the beautiful Charlestown, is this Grade II listed three bedroom detached Georgian House. 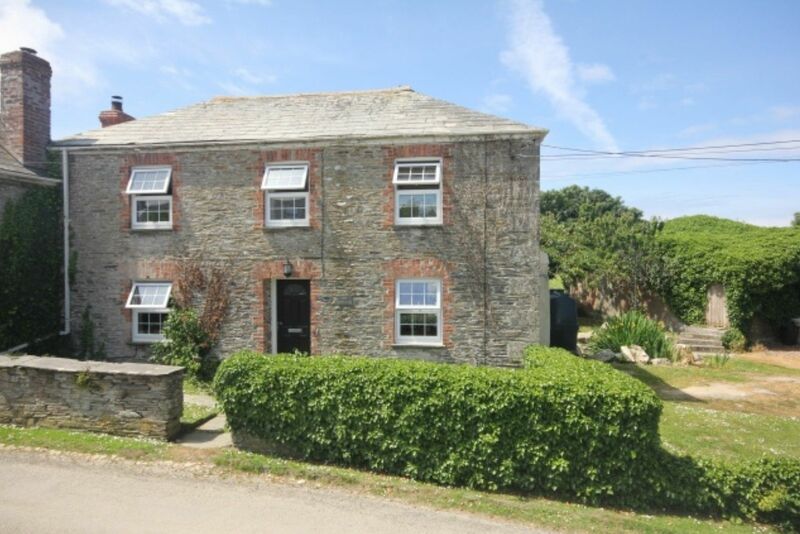 It is positioned on the outskirts of the highly sought after coastal village, Pentewan. This well-proportioned home is finished with a dressed local stone exterior, small paned sash windows and natural slate roof. Internally there are a number of notable features, from the Oak entrance door leading into the main living room with two open fireplaces finished in exposed stone either end of the room. The owners can enjoy a short walk to the village centre or the beach from this great location. There are beautiful coastal walks covering many miles, and the busy active fishing village of Mevagissey is only a mile further South while the Lost Gardens of Heligan are only two miles distant. 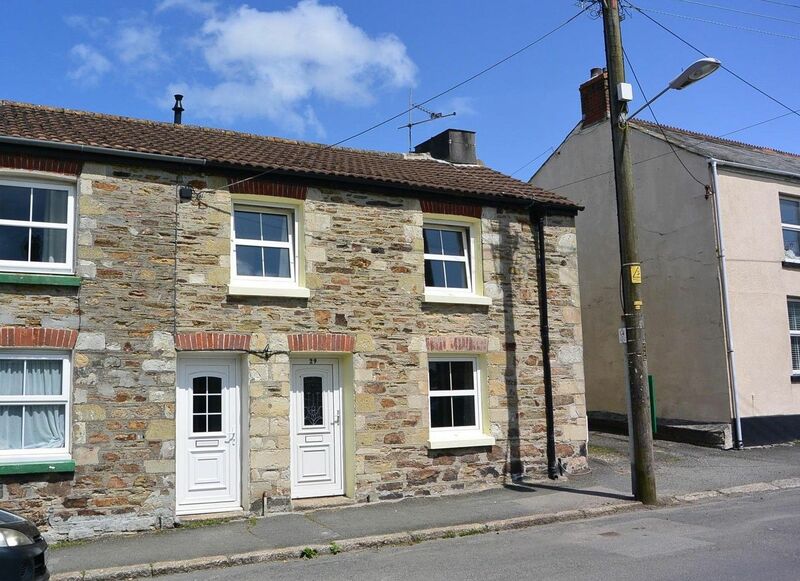 This three-bedroom, end of terrace period cottage on Church Street, situated in the heart of Tywardreath, is a great find for a first time buyer, not far from Polkerris or Polperro. The property consists of three bright and airy bedrooms, charming and cosy lounge with exposed brick feature fireplace and exposed wooden beams. Close to the Eden Project, or Poldark’s Charlestown, this is a great location from which to explore and enjoy the Cornish coastline. Are you looking to buy or sell in Cornwall? Find a Guild Agent to help you.